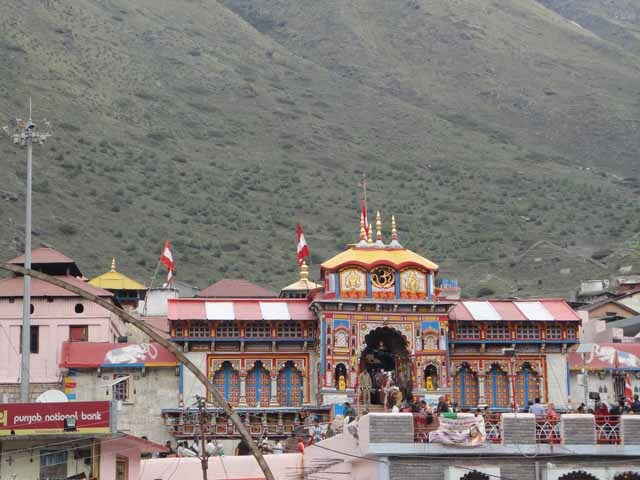 Char Dham Yatra - Kedarnath to Badrinath - Ghumakkar - Inspiring travel experiences. 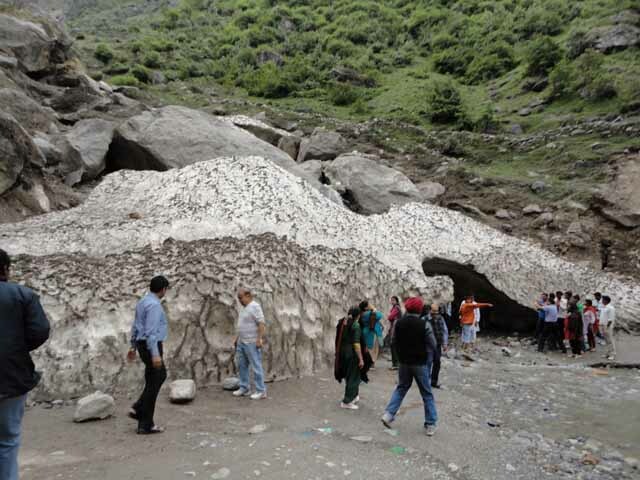 So after visiting Gangotri Shrine and then from there the Kedarnath Shrine, we were now headed to Baba Badri. Next day, we got up around 10 am, got freshen up, and had good heavy breakfast. Last evening we didn’t have proper dinner. We also discussed about the next plan of action, we called in our managers and asked for another one day leave. We started around 12 pm for Badrinath ji. Crossed Rudraprayag around 1:30 pm, Karnaprayag by 3 pm and Nandprayag by 4 pm. In between, we had light lunch around 3 pm. We didn’t took any other break, as I had a plan to cross Joshimath gate before 6 pm, as I heard that the gate will be closed post 6 pm. 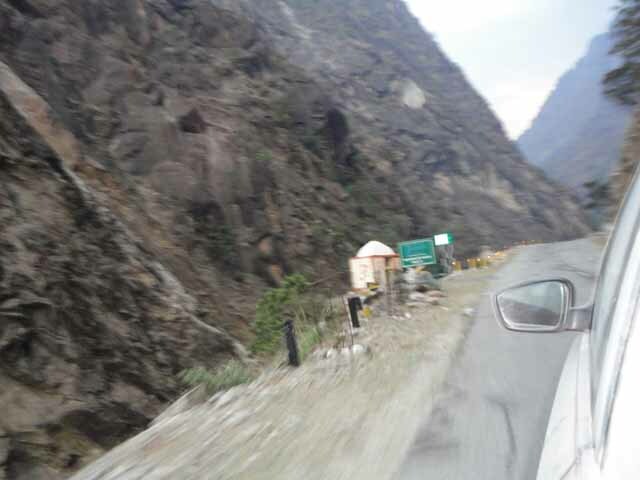 We reached Joshimath by 6:15 pm. The gate was closed, and no vehicle was around. 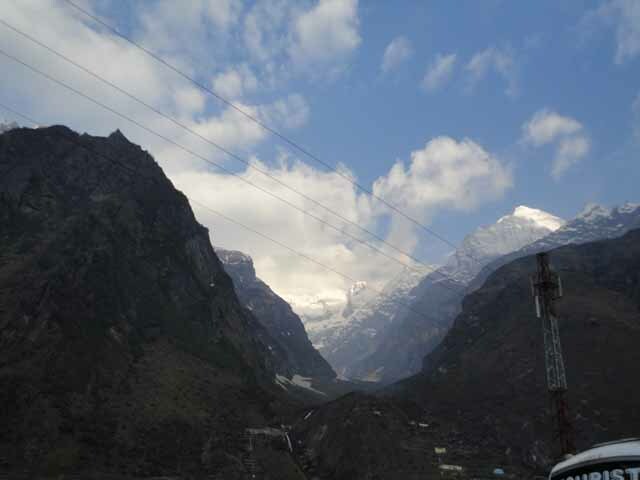 We thought that we may have to spend the night in Joshimath. I was about to stop my car to turn back for accommodation, at that time, a constable, appeared near the gate, and he opened the gate and waived his hand giving a go ahead signal. We were very happy and delighted. 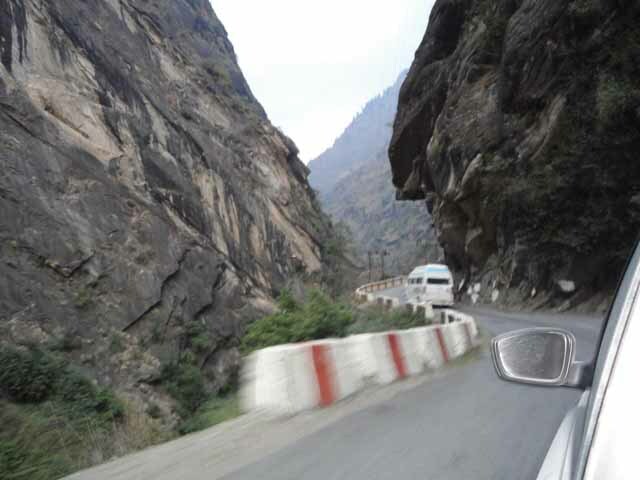 The road after Joshimath till Pandukeshwar is in good shape. 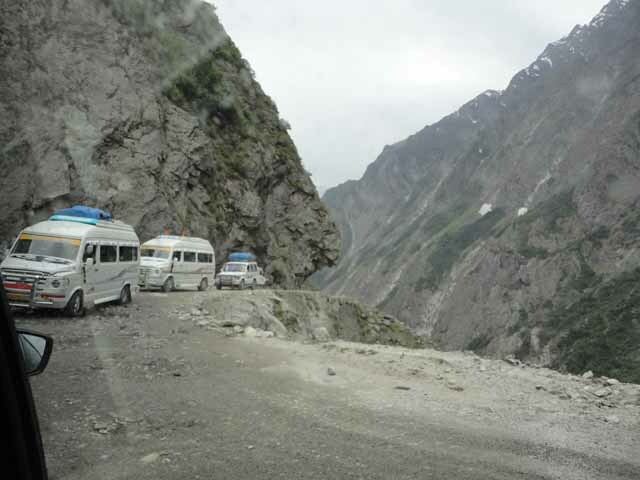 The Sikh pilgrims visiting Hemkunt sahib stops their vehicles near Pandukeshwar. We crossed Pandukeshwar by 7 pm, till Pandukeshwar the road condition is quite good. Post this you will face bad patches. The incline also was more than previous places, It was also getting dark, I started following a trail of cars. We reached Badrinath ji around 8 pm. We asked a shopkeeper about the temple timings, and he told that we can visit it now. I parked my car on one side of a road, and we all went straight to the temple. We were able to complete the darshan by 9 pm, and came back near the car by 9:30pm. The next challenge was to get rooms, my brother-in-law and I went in search of good accommodation, after roaming for 40-45 minutes, we were able to get a good and clean family room/hall. It was for 8-10 people, but as it was almost 10:30 the owner has given it to us for Rs. 2000. After checking in, we had dinner and went to sleep. The plan was to have another darshan in morning and then head back to Gurgaon. The next morning, we got up around 6 am, reached the temple by 7am. The temple and its surroundings were quite beautiful. 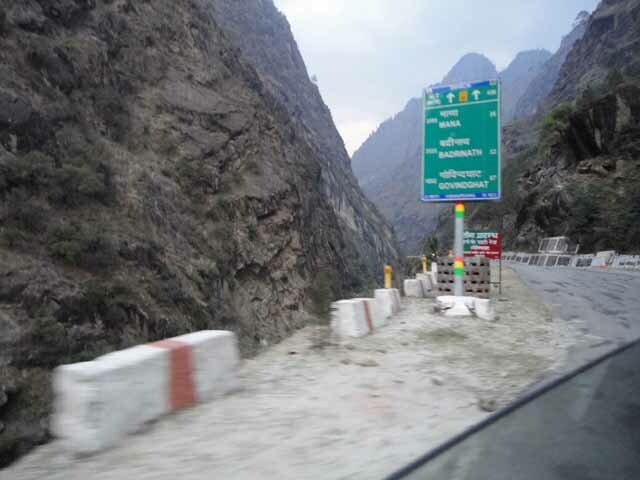 The way to city is one way for outside vehicles, so you cannot enter into city while coming from Kedarnath Ji or Badrinath Ji. We reached Srinagar by 8 pm. There was a real bad stretch of 25-30 kms (road was under construction) just before Srinagar. We reached Rishikesh around 11 pm. Had our dinner and discussed about the next step. I was not feeling tired, and given that the next phase would be driving on plains, I was confident of driving through it. So, after having our dinner, we started again from Rishikesh at 11:45 pm. Hats off to my in-laws, as they were not feeling restless sitting on the rear seat for such a long journey. Crossed Haridwar at 12 am and then crossed Roorkee at 1:45am. There were lots of truck movements at that time and single lane was causing problem for me driving in night. We crossed Muzaffarnagar by 3:00am. I was now feeling little sleepy. 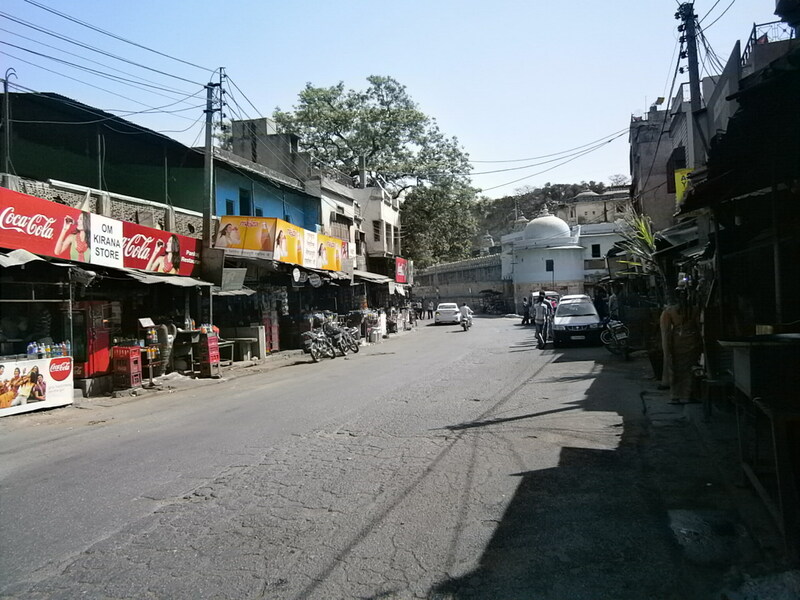 I stopped my car on road side, near a group of dhaba. All were already sleeping, I also took a power nap. I woke up after 30 minutes. Went out washed my face, had tea, walked a bit for 5 minutes to get the blood circulation. I started again at around 3:30am, reached Delhi by 5:30am. Took another power nap of 15 minutes and then drove till Gurgaon and reached home (**sweet home**) by 6:30am. Plan this trip at least for 10-12 days (the more the better), as you would love the beauty of nature. Keep warm clothes. On top of hills, it is really cold, especially at nights. Frequently check your tyres condition and air pressure, you do not want to get a drift due to wrong air pressure. The roads are good, except on certain stretch. 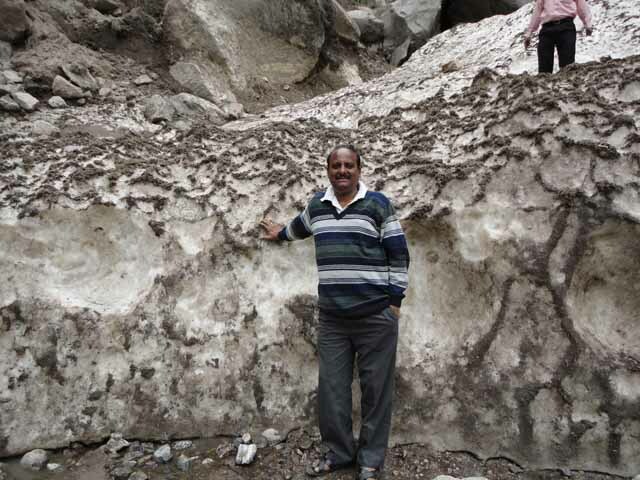 Thanks to NHAI/ Uttarakhand Tourism and the locals. Avoid driving in night in hills, though I drive on few occasions, due to time crunch. Maintain speed around 20-25 km/hr. You will enjoy the drive. Its better to plan your journey keeping 20 km/hr speed for hills (post Rishikesh, this will not put pressure on you to cover more distance on any day. First time I am reading that someone got a challan of overspeeding in hills :-). But good to see Cops in action. It was a real long drive Prakash. I guess not advisable. Alternatively, if one leaves Delhi by 4 AM in the morning, do you think one can reach Badri the same night ? 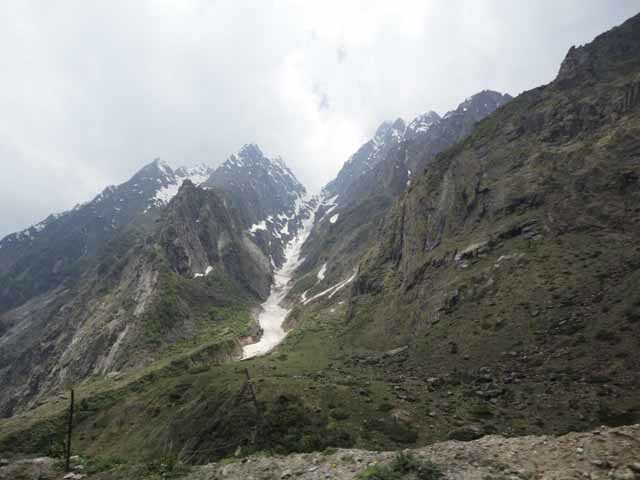 While going from Delhi I think one can reack till joshimath in a day, won’t suggest to travel further in evening/night. Yes but one can easily return back from Bdrinath ji to delhi in a day. 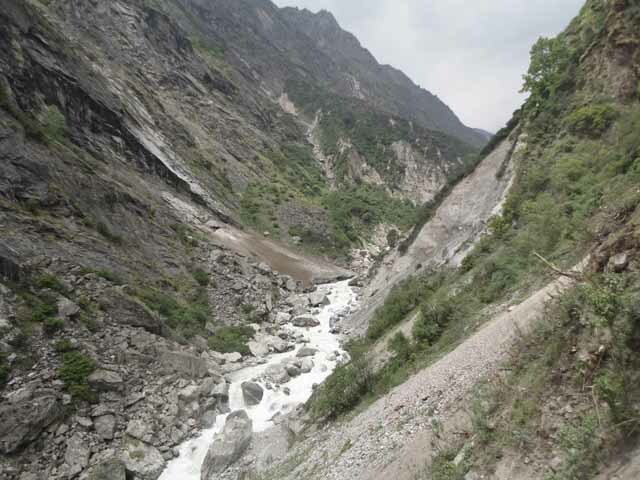 I recently (last weekend, May 24-26, 2013) went to Badrinath Ji along with my Parents, we left Badrinath Ji around 5:45 am and reached Delhi around 11:30 PM. We lost time only to cross Rishikesh and Haridwar. Thanks for a nice blog with many details. Suddenly my curiosity about this trip perked up and have been poring over the available write-ups. I believe you and your family were lucky to have finished the trip before the horror was unleashed. I’m sure you remember some of those places you visited that were damaged later. Not that I will be driving but I have read elsewhere cautioning against driving in the hills if one is not experienced. Though you gave details about the road conditions, I’d like to know how bad was the driving/traffic. Also, is it that simple to just get up and go to those altitudes? No altitude sickness, or other related ailments? Didn’t any of you face any kind of health problems on this trip or afterwards? You haven’t mentioned about the sanitation and the availability of decent toilets throughout. Are there any? All in all, yours is the nicest among the blogs that are available. Thanks again. Yes, I did this trip twice in two successive years, one with in laws and another one with Parents. the tragedy stuck two weeks after I completed my second trip. Have not got any chance to go back as moved to Bangalore the same year. Roads were quite good, though narrow on some points. You may find bad patches on some sections. don’t know the current conditions. We have not faced any altitude sickness or any other ailments. But was prepared for some regular basic issues. Like, took oxygen cylinder while climbing to Kedarnath Ji. Kept pain killers, Move, Vicks etc. You can find some public toilets (a few maintained) around a bunch of hotels post Rishikesh. all toilets within hotel (small/big) were good.